Who built the Big Springs elevator? The winner is Mayer-Osborn Company. The manhole covers have Mayer-Osborn on them. It was built in 1951.This structure is today called Elevator 1. A six-bin annex was added afterwards. I do not know who built it. There were no manhole covers. 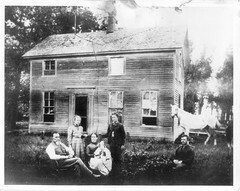 Another annex was built by Mid States. They call this Elevator 2. It has its own leg. This annex has about sixteen bins. Mid States also built the third annex, which has its own leg, too. There are two huge bins. I asked manager Larry McCroden about the primary crops raised around the area. The two biggest crops are corn and wheat. Secondary crops were sunflower seeds, for making sunflower oil, and millet. Some oats were grown, but there hasn’t been any oats tendered to the Co-Op for the past four years. Most years, corn was the number-one crop with wheat coming in second. I would say that there was about twenty percent more corn than wheat. One year was an exception. I believe it was 2008. Farmers delivered more wheat than corn that year. 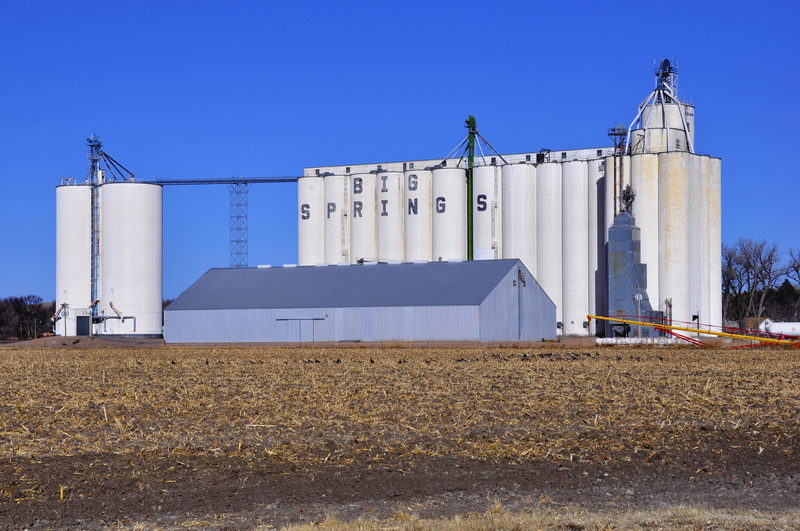 The Big Springs Co-Op is independent–no other elevators in any towns. It says a lot that an independent Co-op can survive during without merging or being taken over. 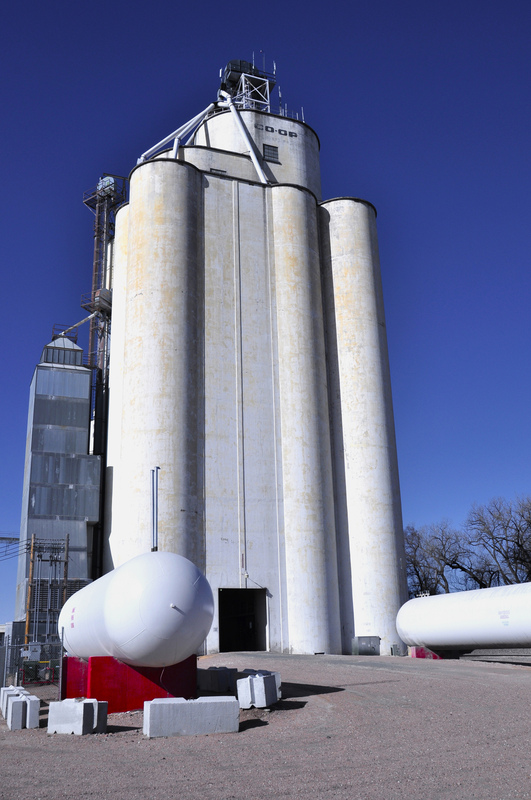 This entry was posted in Mayer-Osborn, Their Work and tagged architecture, Big Springs Nebraska, Business, construction, grain elevator, Mayer Osborn.